According to a new survey by Pardot, a marketing company, businesses that market to other firms are changing the way they use email to drum up sales. Fewer than a third of email marketers now see the method as a way of picking up new leads with most seeing it as just another part of the sales funnel. The percentage of email marketers who use their messages for lead generation depends on where you draw the line between a lead and a prospect. You could argue that the subscription page picks up the prospects and the email then turns them into leads when it brings them to a sales page. But emails also bring in new leads. When the content is good enough to be shared — when it contains a link to download a white paper, for example — that message will be passed around, building new subscriptions and new sales. 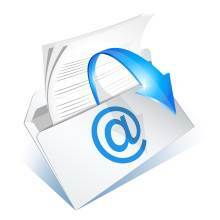 A good email will both convert leads and generate new ones. Subscribers aren’t always ready to buy at the time you’re ready to send your email message. Email gives sellers the opportunity to continue wearing away at a buyer’s resistance so that they’re ready with an offer when the buyer is ready to make the sale. Smart content delivered to inboxes regularly provides persistence without alienating the lead. That persistent message should go beyond repeating the benefits of the product and emphasizing its features. It should build a relationship with the reader. Leads like to buy from people they like — and they like people who they believe are like them. Email marketing should show that you understand the reader, empathize with his problems and can be trusted to deliver solutions. You’re there to help. Even if you don’t make a sale with one email, that additional trust increases the chance that the sale will come at some point. Some of the people on your email list will have signed up when they were interested in your product then forgotten all about it. They might even ignore your emails as they flow through their inbox each week. Until, one day, they spot a message just as they have a need again, click through and buy. Email marketing can re-engage cold leads by staying on buyers’ radars and being available when the buyer is ready. And you can also rent out your list to other email marketers in similar niches. You have to be careful with this approach. It can be profitable, but move too far from your core product and subscribers will feel that they’re being spammed. You’ll lose both leads and weaken your relationship. It’s best done when you’ve built a deep well of trust with your subscribers and when you genuinely believe the product you’re promoting will benefit your readers.